A 3-in-1 exploration of the mysteries of electricity! 1: A screen in which you can explore Kirlian photography in realtime by touching the screen and seeing coronas and bioelectric fields emanate from wherever you touch. 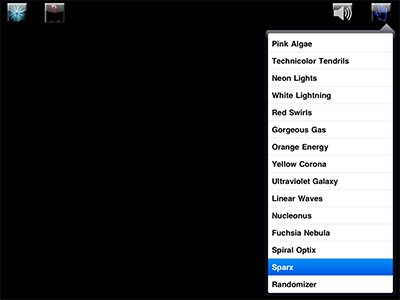 Try multiple fingers, or your whole hand, and choose from a variety of Kirlian patterns. 2. 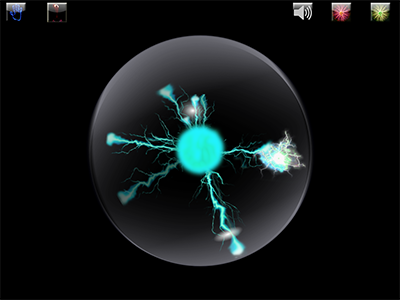 A completely interactive plasma ball, also multi-touch enabled, featuring customizable glass colors. Just touch the glass anywhere and the electric veins will follow you wherever you go. 3. 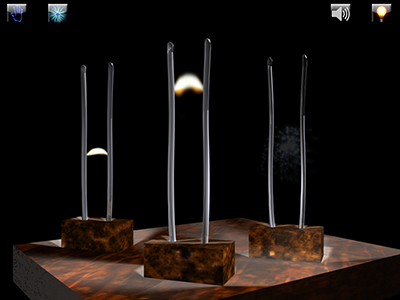 Three Jacob's Ladders in a 3d-rendered environment. Each current path rises at random intervals and speeds, which you can interact with by interrupting the circuit and watching them explode. The environment lighting can be disabled for more eye-popping effects. Each screen has an ambient music track (which can be disabled at will) and dynamic sound effects. 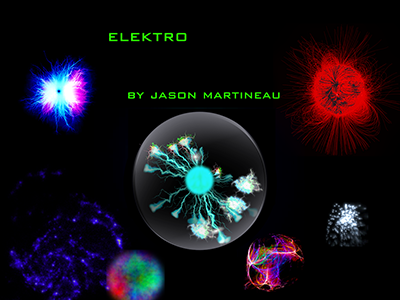 A fascinating exploration of electricity on your iPad!